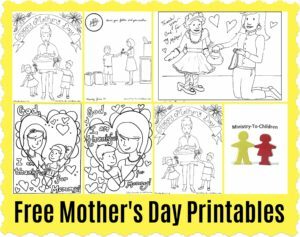 All the original Ministry-To-Children coloring pages are free to download use in your ministry – they are perfect for Sunday School, Children’s Church, or Christian School. We’ve divided them into categories below, but it might be easier to search for what you need. 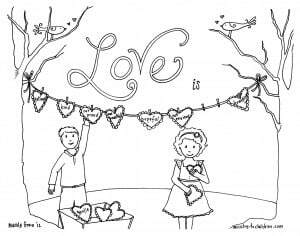 The primary illustrator for our coloring sheets is Mandy Groce. Through our website her art has blessed thousands of churches, homeschoolers, and Christian schools. We have lots more below and hope to add better preview pictures soon… Thanks for your patience! 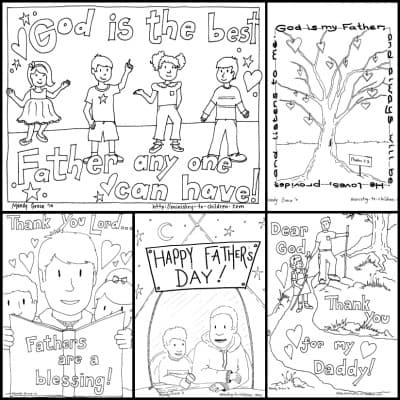 We recommend the following websites for their free coloring pages. Enjoy! 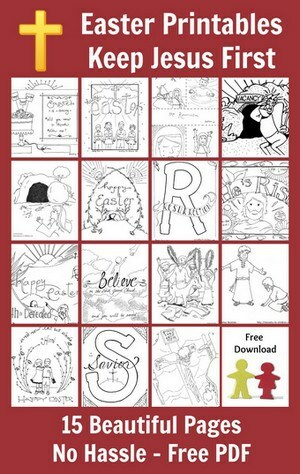 CMDs Bible Characters Coloring Pages requires checkout process but the price is free. 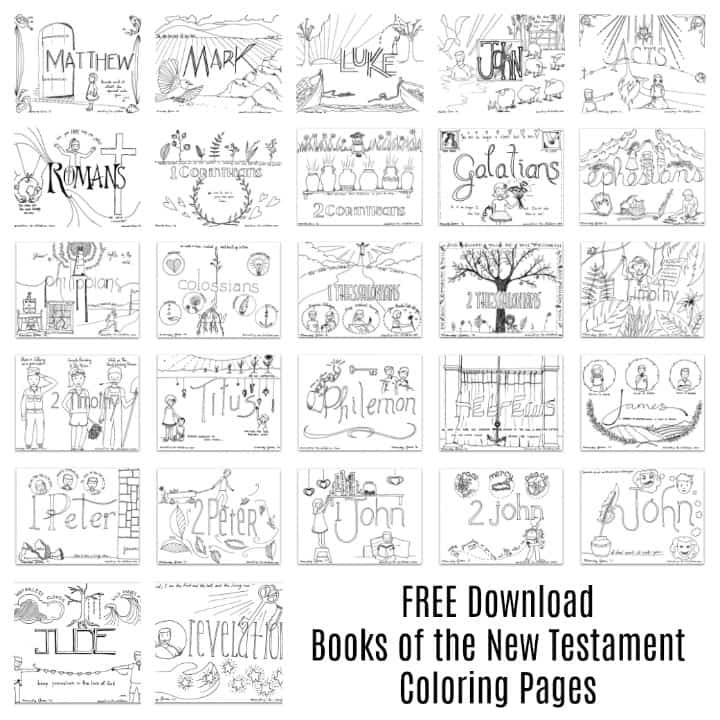 We’ve uploaded over 300 free coloring sheets! 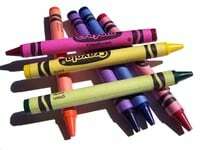 These can provide a simple activity for any Sunday school or Children’s church lesson. Simply download, print, and share in your ministry. Click here to see them on Amazon. In telling how God created the world, the book of Genesis describes what happened on each day. 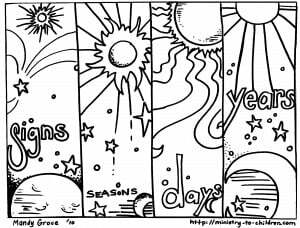 That was Mandy’s inspiration for this 8-page Days of Creation coloring book. 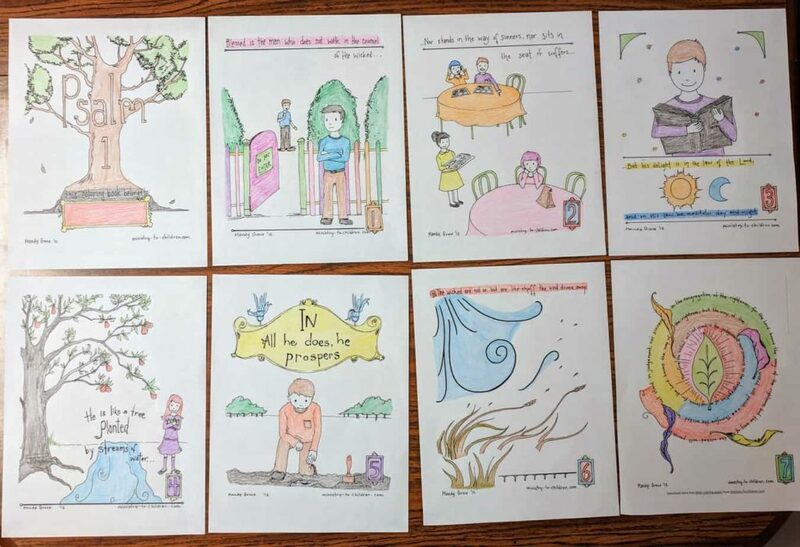 These original drawings are free to print and use however you like in your church, home, or school. They provide a helpful activity for any Sunday School lesson about how God created all things. 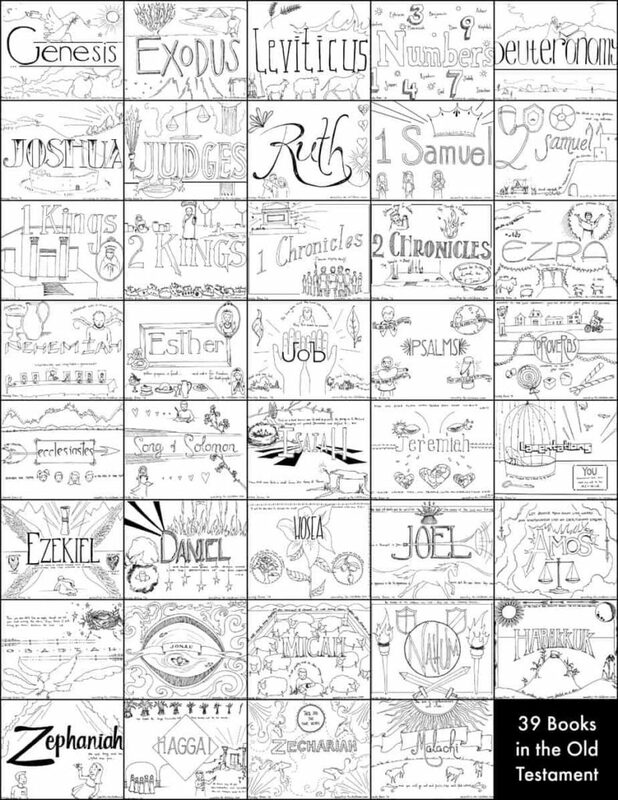 Mandy has created an original coloring page for every single book of the Bible. 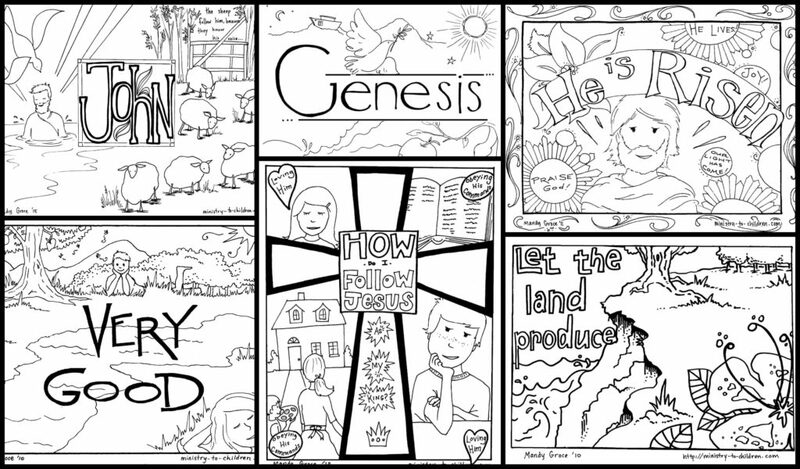 That makes one major 66 page coloring book – each sheet features a scripture quote and visual themes to help kids better understand the specific Bible book. Galatians 5:22-23 describes the character qualities that the Holy Spirit produces in the life of every believer. In this free 11-page coloring book, Mandy illustrates modern day examples where that fruit can make a difference. 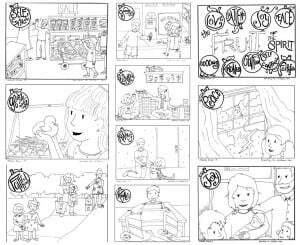 Each picture in this series is accompanied by a full lesson plan, but the coloring sheets are excellent teaching resources in their own right. For this series, we asked readers to nominate a theme for each letter in the alphabet. This 26-page coloring book was the result. 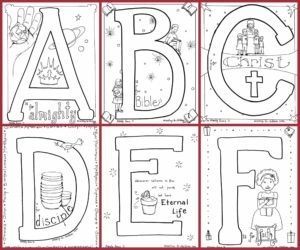 This resource is especially useful with younger children first learning their letters, but the biblical themes for each letter provide a solid framework for teaching any age group of children. 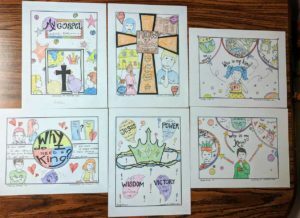 We wanted to translate the “Jesus is King” themes from the Bible into a visual teaching tool for kids. 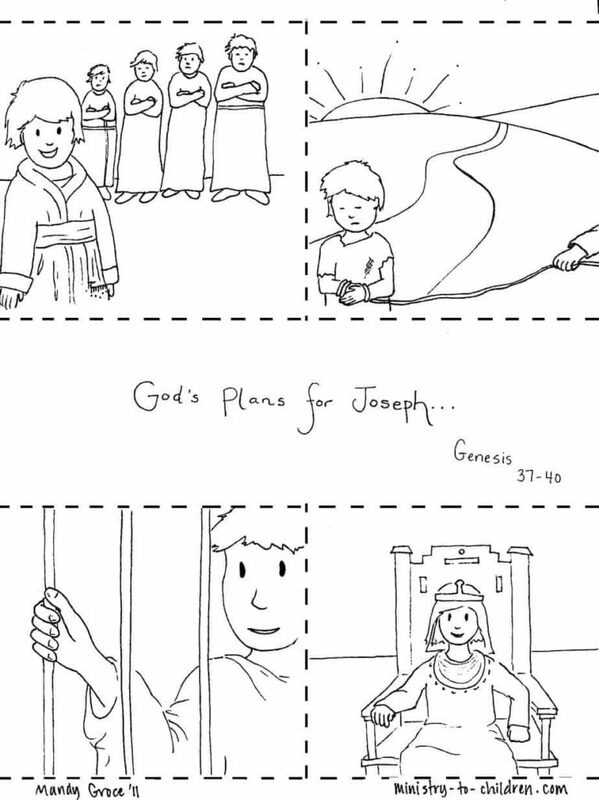 The result was this 5-page Gospel coloring book. It helps children understand why they need Jesus and how to follow him. This booklet is useful to introduce children to Jesus. It could also be a reminder for older kids who are growing in their faith. 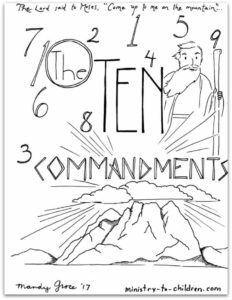 This series of coloring sheets is based on Matthew 6:9-13 where Jesus instructs his followers how to pray. Each illustration in this 5-page booklet relates the themes of the prayer to a modern context. This is the ideal companion for our lesson plans on the Jesus’ model prayer. 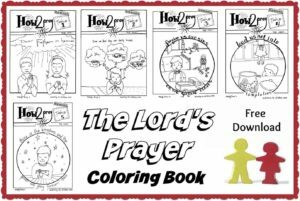 As children work through these printables, they will better understand how God wants them to pray. Tony Kummer (Editor) reviewed & updated this page on : April 10, 2019 at 6:03 am. All our content is peer reviewed by our readers, simply leave a comment on any post suggest an update.